Try a Sansa 2in1 bouncer for free! 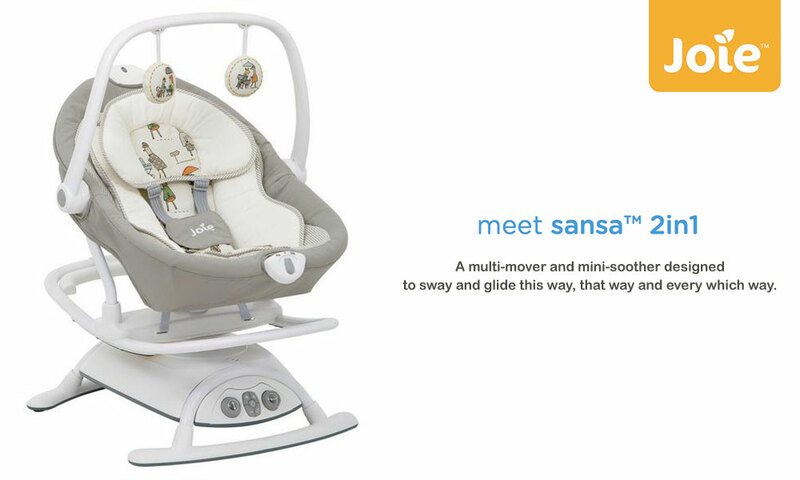 Try for free a Sansa 2in1 bouncer from JOIE! Meet the Joie Sansa, a multi-motion ride for your little one. Ride or glide the day away with the front to back or side to side seat - with a simple twist, turn and transition to a whole new move. 3 Sansa 2in1 bouncers to try!